The Imaging FlowCytobot (IFCB) is an automated submersible imaging flow cytometer that uses a combination of flow cytometry and video to take high resolution (~3.4 pixels/micron) images of suspended particles in the size range <10 to 150 μm (such as diatoms and dinoflagellates). The data can be transmitted to shore in real time, and processed with automated classification software with accuracy comparable to that of human experts. 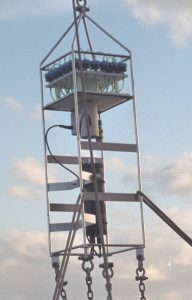 The instrument samples 15ml of sea water and can generate 30,000 images per hour. 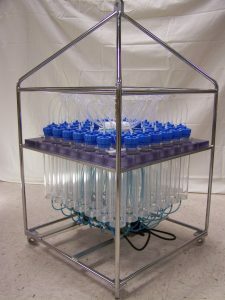 McLane Sediment Traps collect settling particulate matter into sample bottles in a time-series according to a user defined schedule. They play an important role in studies of the global carbon cycle. 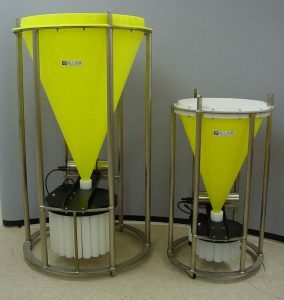 In addition to time-series measurement of particle flux, McLane sediment traps are well suited for paleoproxy and radionucleide investigations and can be used for environmental and pollution monitoring. McLane RAS Remote Access Samplers collect up to 48 time-series water samples into sample bags. The RAS-500 takes 500ml samples, while the RAS-100 takes 100ml samples. New 2018 - All RAS units are now fitted with a Controller Housing which can accept 24 standard D cells. Previous units used a special battery pack. 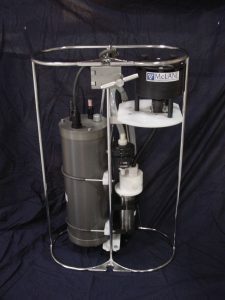 The McLane PPS Phytoplankton Sampler collects up to 24 samples in autonomous, user defined, time-series using 47mm filters. Using extraction columns, a WTS may be used to collect time-series samples of dissolved compounds, dissolved radionucleides, and dissolved trace metals. 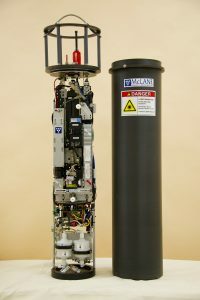 McLane Large Volume Water Transfer Systems collect single samples onto 142mm filters, commonly while suspended from the hydrowire of a research vessel. Depending on the filter installed it may be used to collect suspended particles, particulate trace metals, phytoplankton or micro-plastics. 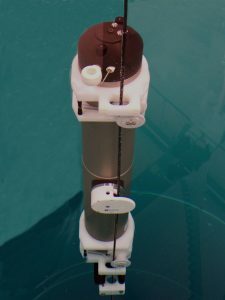 The McLane Moored Profiler travels up and down a fixed tether while carrying a selection of oceanographic sensors. Standard instruments include a CTD and an acoustic current meter. 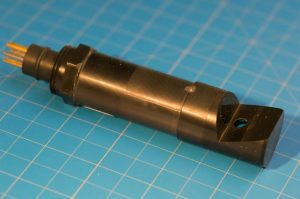 Optional additions include bio-optical, chemical, and suspended particulate sensors. 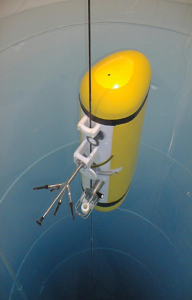 The McLane ITP is a moored profiler which can be deployed through a small hole under the ice. It collects measurements of conductivity, temperature, and depth, and other sensors. Data can be automatically transmitted in near real time via an inductive modem when connected to a surface controller. McLane Glass Flotation is available in single, triple and quad hard-hat housings. 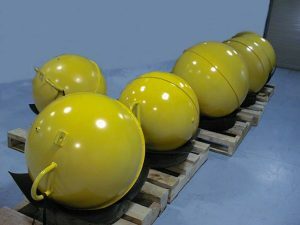 McLane Steel Flotation is available in a variety of sizes for depths down to 360m. Seapoint Sensors Turbidity Meter sensors STMs are renowned for their reliability, stability and extremely low power consumption. The STM11 turbidity sensor has four ranges and analog 0-5V output. More than 15,000 of these units have been manufactured. The STM-S is a new sensor for turbidity and suspended solids monitoring, and includes all the functionality of the analog STM11 Seapoint Turbidity Meter plus a high range signal for extremely turbid waters. The sensor can be configured for 0-5V analog or RS232 compatible serial output. 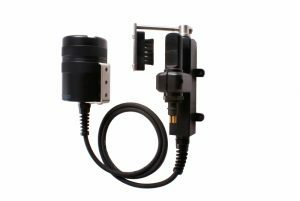 These features, as well as low power requirements and 6000 meter depth rating, enable the STM-S to be used for the vast majority of turbidity or suspended solids monitoring applications. The STM-S is available as a "side looker" with the windows at the side, or as an "end looker" with the windows on the end of the body. 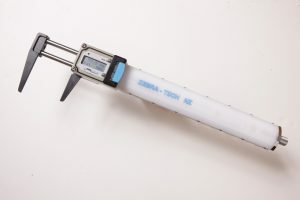 Like the new Seapoint Turbidity Meter STM-S, the new Fluorometer will have a serial and analog interface, and will be much smaller than our traditional SCF. 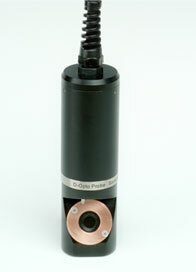 The Hydro-Wiper is designed to keep the windows of optical sensors clean. It is also used very successfully for underwater cameras. The Dive Caliper is a basic tool which has been developed to make underwater measurements easy to record at the press of a button. They help eliminate errors caused by transcription while speeding up work. 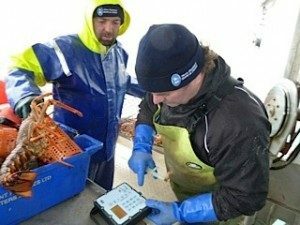 The Wet Tag automatically logs the deployment of lobster pots, crab pots, dredges, set nets. 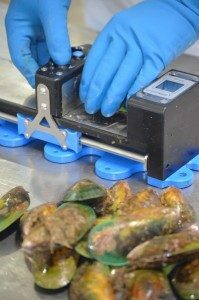 Measure hundreds or thousands of samples quickly and easily without any paperwork. 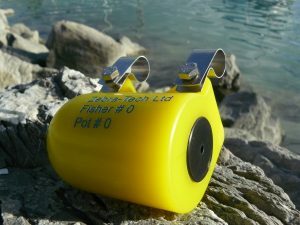 The Deck logger is used for fishing data collection.